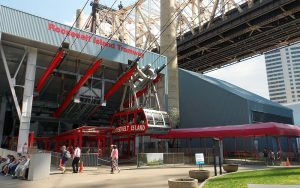 One of the features of Roosevelt Island is that it is five subway minutes from one of the most interesting cities in the in the world. As many New Yorkers know, it sits between Manhattan and the borough of Queens and is part of the borough of Manhattan. What many probably don’t know is how it got its name. First, it was called Minnehanonck, then Blackwell’s Island and later was known as Welfare Island when it was used principally for hospitals from 1921 to 1971. That information is according to Wikipedia. 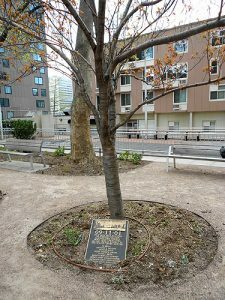 It was renamed Roosevelt Island in 1971 after Franklin D. Roosevelt. My children and I moved here 30 years ago, coming from the South Bronx, a giant step up the social ladder. In the early 80s, the South Bronx was very dirty and its streets were dangerous. Our neighborhood on 149th and Grand Concourse had blocks and blocks of low income people trying to survive in dark, cramped, sparsely furnished apartments. It is one stop from Manhattan on the No. 4 train, but the Bronx was its own world once one got off on 149th Street and Grand Concourse. On the Fourth of July back in the day, we did not leave my apartment on 149th Street and Grand Concourse all day or night because of the continuous explosions of firecrackers and cherry bombs that were put in bottles and thrown up in the air. My daughter attended South Bronx High School. I recall when kids would advised a certain teacher to get off that sh*t (crack). I learned through the grapevine that the New York Yankees threatened to move out of the borough if it was not cleaned up. This why it felt strange when we moved to the island, to live in so much space, green trees and quietness. Right now, approximately 10,000 people live here, according to the Roosevelt Island newspaper, “The Wire,” approximately 20 per cent are United Nation employees. This United Nation population gives the island an international flair. People connected to the UN are constantly moving in and out. Roosevelt Island does not have the crowds, noise or detritus of Manhattan. It is maintained very clean and orderly year round – probably because the island is not crowded and has a strong city maintenance system. A small police station on the island adds to its relative safety, 24/7. There is only one street, “Main Street,” beginning at the subway station and ending at Coler-Goldwater Hospital. The Rescue Unit Fire Station is at the north end of this station; the crew was lost on 9/11. A small memorial for them was built in front of Good Shepherd Church. A big warehouse once served as a thrift shop. I still have many treasures I found there donated by the international community, such as a Procter-Silex blender that keeps on working; a small futon that serves as a coffee table; a storage box and footrest and a small desk, which may be an antique. The Missionary Sisters of the Sacred Heart who lived and taught on Roosevelt Island ran the shop. They once asked me to help them paint it from ceiling to floor. We designed an interesting multicolored pattern for the ceiling. I painted on weekend nights and kept the shop opened until I left at midnight. I turned the radio on very loud, and residents sat outside and watched me paint, and security checked on me periodically. It took me three years to paint the entire shop. I would do it again, but it was converted into a clinic. Good Shepherd Church was brought over from Europe, brick by brick. 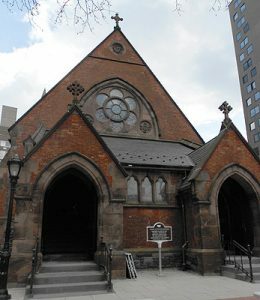 The church is used by Catholics, Protestants, Jews and Muslims.Town meetings take place in the basement. Politicians like Democratic State Senator Carolyn Maloney, Democratic City Councilman Ben Kallos and U.S. House Representative, Jose Serrano meet with the residents. A small New York City library serves the island very well with activities for all ages, such as reading sessions, knitting classes. Strangely, one of the long-time young librarians was surprisingly reluctant to be interviewed about his views on life on the island. Celebrities like Al Lewis of The Munsters TV series, comedian Buddy Hackett and former United Nations Secretary General Anan Koffee once resided here. Longtime resident Kim Lang, 43, a social worker, said in a phone interview that she loves the tranquility of looking out at the water and being so close to the “big city”. Emily Kelly, 75, a retiree from the United Nations as a trilingual secretary, said in an interviewed in our hallway that she liked the natural beauty of the island, the friendliness of the people. The accessibility of the train and tram. Cynthia Ahn, a resident of 30 years, raised three daughters here and is the owner of Roosevelt Nail Salon. I interviewed her between a manicure and pedicure, and she said said she appreciated the art gallery on Main Street, the clean air and the Main Street Theatre. The island has the Manhattan zip code 10044 and a 212 area code, making it part of Manhattan and not Queens as many people suppose. The tram is very popular with tourists. It crosses the East River in less than five minutes, and one can have a photographic air view of the Eastside. That view has appeared in several Hollywood movies like GANGS OF NEW YORK and DARK WATER). A New New York Times story, August 19, 2016, listed walking tours in the summer. Highlights included the Octagon-once part of the New York City Lunatic Asylum, now an apartment complex x entrance. In the spring, the Cherry Blossoms bloom beautifully for about two weeks. 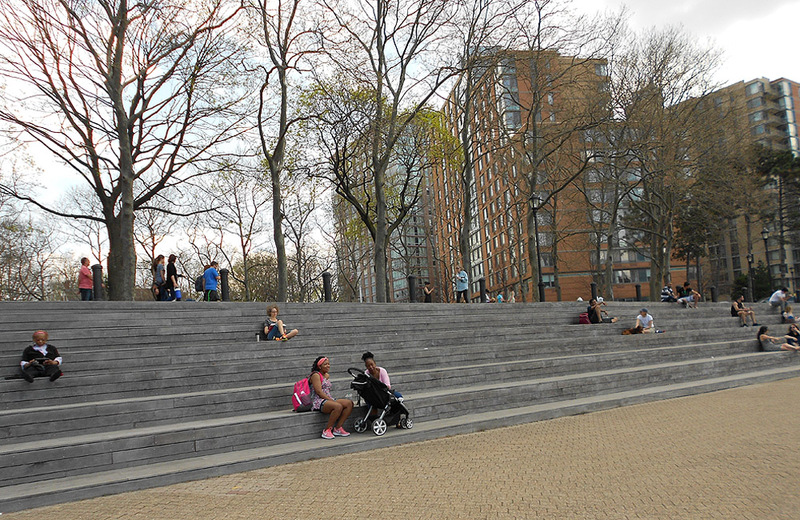 It is quite a scenic sight, the Cherry Blossom trees against the East Side River and East Side high rises. There is a black bird unique to the island. It is shiny black and is the size of a robin. A neighbor said that the red robins on the island are very chubby compared to other red robins that are small and dainty. In the summer we see glow worms at night. I have seen glow worms on the Bronx Fordham College Campus. 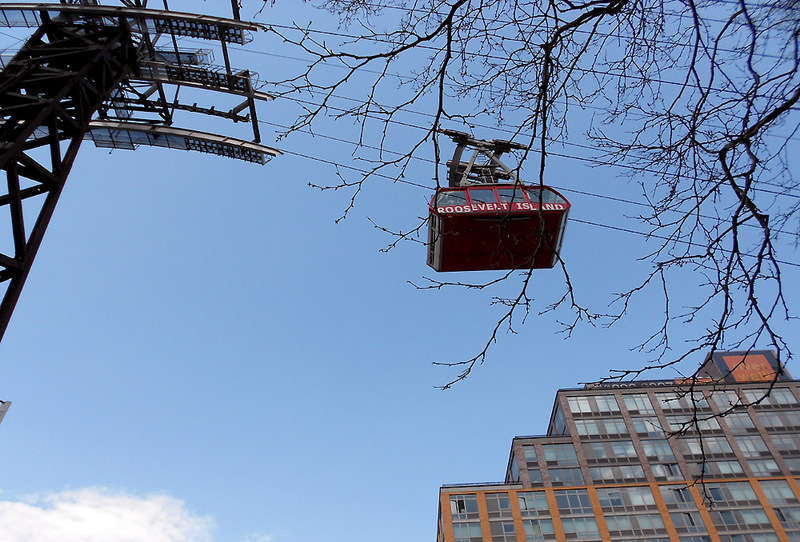 Roosevelt Island does not have neighborhood restaurants, bars or movie theaters. But this does not take away from its charm. Cornell University has taken over the southern part of the island. New Cornell buildings are going up. The new population is bound to change the atmosphere of the island. Roosevelt Island is not Main Street, USA, but it is not a Staten Island. Perhaps this will save it from a complete transformation of its former self.